Jennings School District is an amazing urban district in Missouri with a 98% African-American student population, 100% of students receiving free meals, and 100% graduation, career and college placement in 2016, 2017, and 2018. Recently, we received the National School Board Association’s 2018 CUBE Award for student achievement, equity, and board governance. As leaders striving for educational excellence in every way, we know that the biggest room in our house is the room for continuous improvement, particularly in reading. This school year we decided to administer a universal screener in the fall, winter, and spring, in grades K–6 districtwide to identify student risk in reading and math. As superintendent, I set aside time to witness every first- and second-grader screening in reading. The initial focus was to determine if this was a good investment and see if our educators could quickly implement this assessment as well as it’s associated, targeted intervention techniques. It was my best literacy lesson in a long time. Strikingly, my team and I saw and heard the literacy gap in ways we had never experienced collectively. 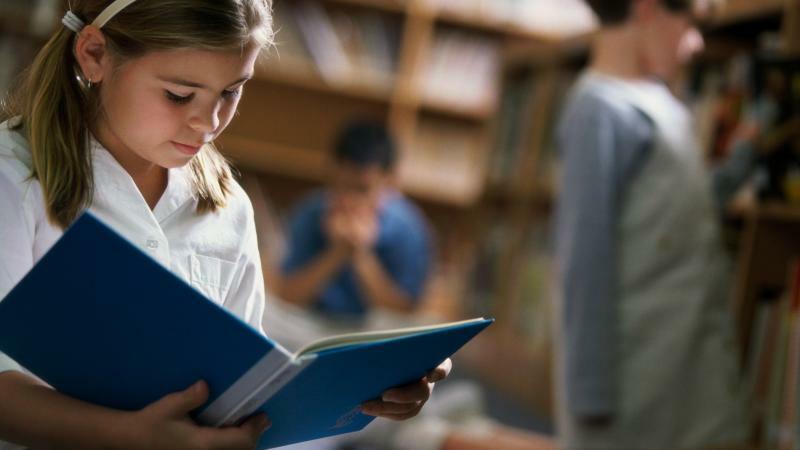 Imagine for a moment seeing a first-grade-emerging-reader try to read sight words like “the,” “before,” “and,” “after,” “there,” as well as “nonsense” words like “siv,” “nymu,” “hofk,” and “frin,” using the arm technique (touching the shoulder, then elbow, and wrist) to cover each syllable. We found that for all “words,” many students, with shrugged shoulders, looked at the test administrator in bewilderment and shut down until the time was up. It was both enlightening and empowering to partake in this process. In the end, our district had identified about 44% of third to sixth grade students on the college pathway with low-to-no risk in reading, 24% on-watch, and about 32% as high-risk. What a serious reality check. Still, having this information in August helped everyone—students, staff, parents, stakeholders, and partners—focus on significantly improving our instruction, student exposure to rich literature, and achievement. We knew we needed to take more action. District leadership decided to send its largest team yet to participate in the Principals of Literacy Institute. Our dynamic team was inspired and developed a framework of the Jennings School District Literacy Plan. Components of the plan consist of identifying a problem of practice and four core areas to develop opportunities for success in literacy—our vision, instructional leadership practices, professional learning, and school climate and culture. Our Curriculum Planning Committee meets monthly to build on the District Literacy Plan and drive the district and each individual pre-K–12 school in increasing student literacy. Teachers and students then receive laser-focused support to meet the targeted needs of students reading below grade level. Our literacy partnerships have also increased. Local and national organizations, including Scholastic and KPMG, have donated books and funding for classroom libraries. 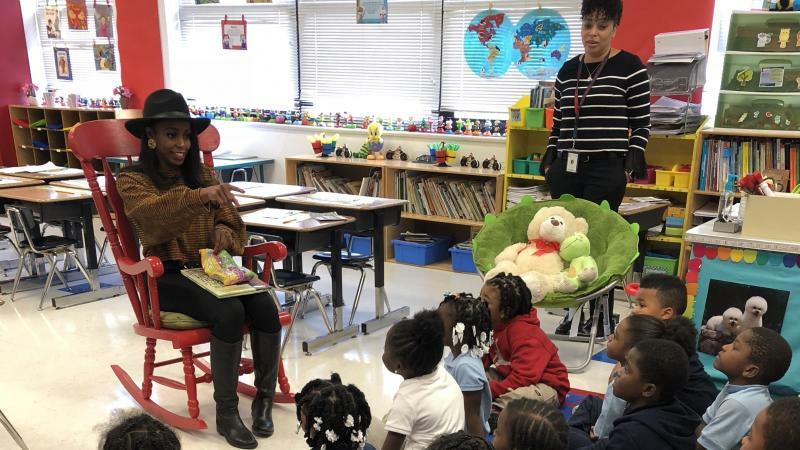 We also engage with local professionals and celebrities on an ongoing basis, inviting them to spend one hour in our K–3 classrooms reading aloud to the class. At each event, three to four books selected by students and teachers are read aloud, followed by arts and crafts. Afterward, each book is donated to the school library, plus a personal copy of one book can go home with each student. Such student choice and access increases kids’ overall engagement and empowerment towards literacy. 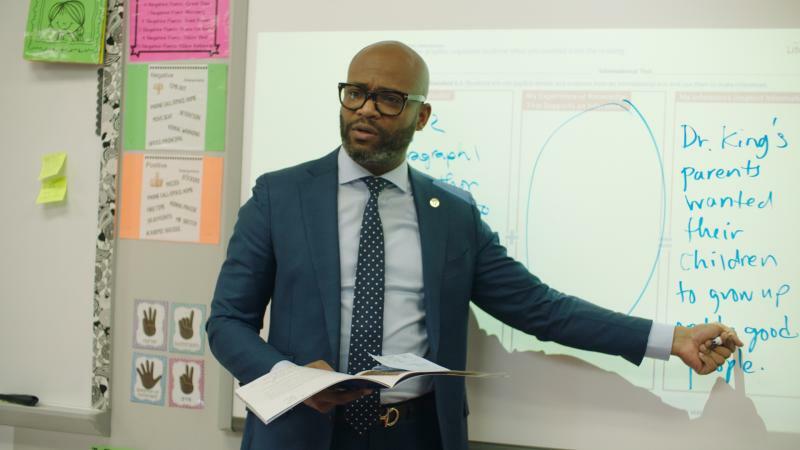 At Woodland Elementary School, our teachers were disappointed by the data resulting from the early screener, particularly for their second grade readers, so they were moved to do something about it that was tailored to their classrooms. The team of educators knew constant whole group instruction was not working effectively, so they went to a small group instruction model and they brought literacy across content areas. ELA educators are teaching with a focus on social studies and vocabulary while honing in on skills including phonetic sounds, decoding, word chaining, and syllabication. This has been welcomed by all readers, including those who are striving. As a result, students are feeling more confident and are working harder. This approach is also allowing educators the time and ability to work closely with their tier 2 and 3 students, as identified by the early screener, on phonetics and decoding while keeping the students in the classroom. There is now the flexibility for individualized instruction and a variety of options to best use independent learning time such as students working in centers making words, writing, practicing individual skills, and utilizing technology. Teachers are already seeing huge gains from this change in targeted instructional delivery. This literacy lesson challenged my team and our leadership. It moved me past my own lack of knowledge to see the faces, know the names, and engage and empower students directly as well as staff to close achievement gaps. In doing so, we moved far beyond just weighing the cost and quality of the assessments as if we were buying a liter of soda versus water to quench the thirst of teachers and students, to seeing the literacy gap up-close, choosing to make it personal, and leading to eliminate illiteracy and ignorance in our district. I challenge all superintendents to ask themselves a question that I recently asked myself: “Am I a liter or leader?” We must focus on more than data—a unit of measurement such as student performance and programs. Our unit of measurement must demonstrate more than the capacity of some substance, like a liter. As educators and lifelong learners, we work to increase knowledge. As leaders, we tackle tough things like illiteracy. 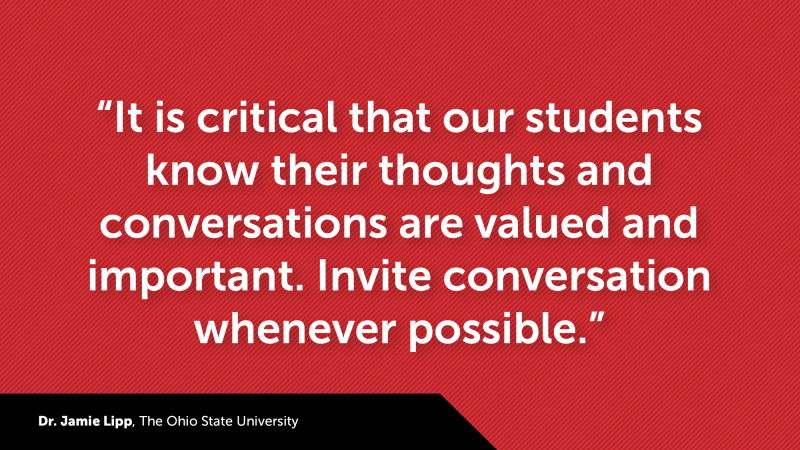 We aim for continuous improvement, keeping our students at the forefront of our minds. Leaders act. Leaders look for the weakest of areas and lean in lovingly to engage and empower others equitably, according to their needs. It is then that our students become leaders and strong readers.